Australians have a thing for leg spinners. 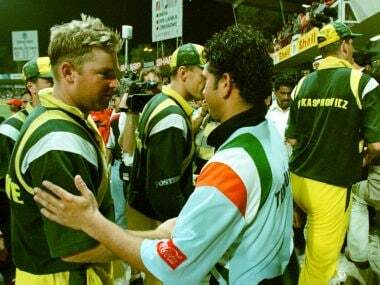 That admiration goes back long before Shane Warne ever put on the baggy green. Warne's brilliance took it to another level. It also meant any spinner in the post-Warne Australia - leggie or otherwise - needed his stamp of approval to be considered worthy of a spot in the Test side. More than a dozen spinners turned out for Australia after Warne's retirement in 2007. Some of them had great starts like Jason Krejza; some of them just evaporated under the ruthless spotlight of Test cricket like Bryce McGain; some had useful careers like Nathan Hauritz, but none of them really won over Warne, and hence didn't capture Australian fans' imaginations. Only Nathan Lyon has been able to be around the team for a long period, even as the axe has been hung perilously close to his neck quite a few times. Steve O'Keefe made his first class debut in 2005-06 for New South Wales. Even as the replacements for Warne were tried and rejected, O'Keefe must have wondered what was it going to take for him to be considered for Australia. Finally, in 2010, he was picked in the squad – to replace the injured Hauritz - that took on Pakistan in England but it was a different Steve, four years younger and a part-time leg spinner, that got to make his debut at Lord's – such is the Aussie fascination with leg spinners. And now, Smith ironically is O'Keefe's captain as they take on India in the four-Tests series. Although he missed out on a Test spot, he did however debut for Australia in the shortest format in that tour against Pakistan at Birmingham and continued to do so till his last T20I in 2011 against South Africa in Johannesburg. 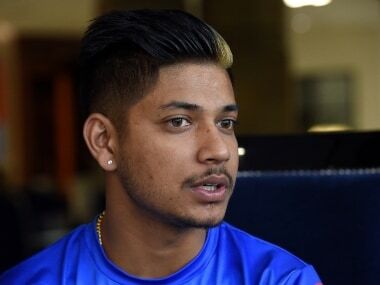 That led him to even be picked in the IPL auction of 2011 by the short-lived Kochi Tuskers Kerala franchise. When England toured the land Down Under for the Ashes of 2010-11 that would turn Australian cricket upside down, the best performance by an Aussie spinner during that entire tour was by O'Keefe representing Australia A in the third warm up first class match before the Test series began. Returns of 4/88 in 24 overs against a full-strength England side, and handy lower order runs, still could not convince the selectors, or win over Warne, even as Baggy greens went the way of Xavier Doherty in the first Test and Warne-recommended Michael Beer in the last Test at Sydney. O'Keefe even took on the captaincy of New South Wales in 2011-12 before relinquishing it next season so that he could focus on his bowling and push his case to be the lead spinner for Australia. It helped and he did emphatically, by becoming the leading wicket takers amongst spinners in two domestic seasons in a row in 2012-13 and 2013-14. On the back of two consecutive seasons of impressive form with New South Wales, the calls for O'Keefe could not be overlooked any longer and he finally had the opportunity to don the Baggy green at Dubai in 2014 against Pakistan. Even as he out-bowled the first-choice spinner Lyon in the Dubai Test, he was dropped for the next Test at Abu Dhabi. He was recalled for the Sydney Test of 2016 against the hapless West Indies. Once again, his figures of 3/63 in 26.1 were streets ahead of Lyon's (3/120 in 46 overs) in that rain-affected game but was again overlooked for the Tests in New Zealand. He received another call up for the away tour in Sri Lanka where Australia had to play two spinners in the side but after the first Test at Pallekele, his fragile body failed him – hamstring injury - he had to return home, and Jon Holland took his spot for the remaining two Tests. He returned to take four wickets at his home ground, SCG, against Pakistan last month and was firmly in the plans for the tour to India, and so was pulled out of Big Bash League matches as a precaution due to his history of soft tissue injuries. 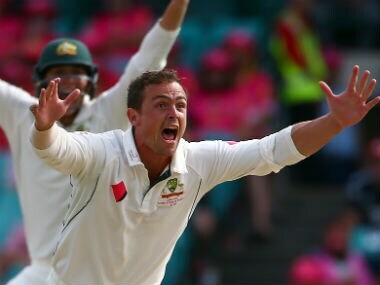 As he heads in to this India Test series, O'Keefe would be banking on the experience of having played two unofficial Tests for Australia A against India A in Chennai in July 2015 where he picked the most wickets of all bowlers from both sides, and had the best innings figures of 6/82 outshining Pragyan Ojha, Ashton Agar and Amit Mishra. Australia would be hoping for O'Keefe to keep the Indian batsmen quiet a la Ravindra Jadeja which would provide them the opportunity to attack from the other end. More importantly, they would be hoping for O'Keefe to stay healthy through the four Tests. There is no question Warne will be watching the proceedings from the commentary box and O'Keefe, even at the age of 32 years and after 11 years of first class experience, would appreciate the stamp of approval from the king of spin. That would go a long way in adding more Tests to his current meagre total of four.